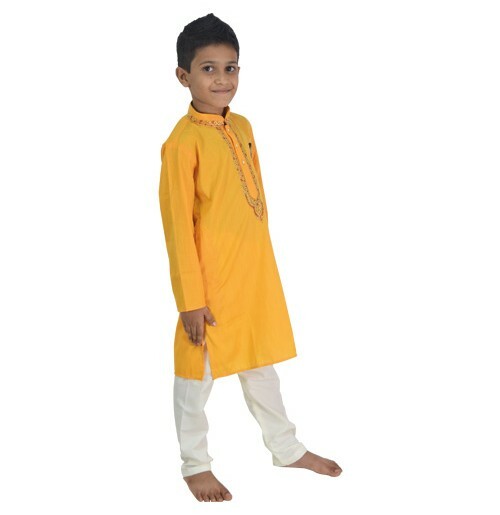 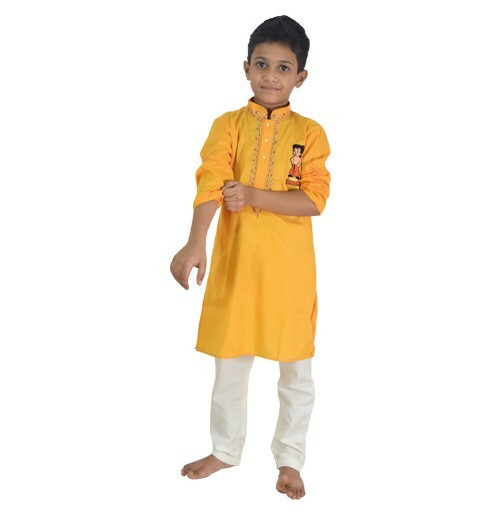 A stylish Indian ethnic Kurta and Churidar Pajama set with a graceful ethnic look when you adorn this kurta and pyjama set for boys. 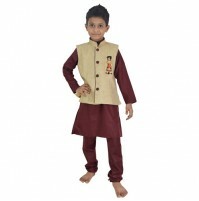 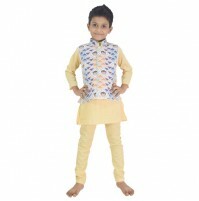 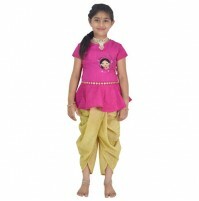 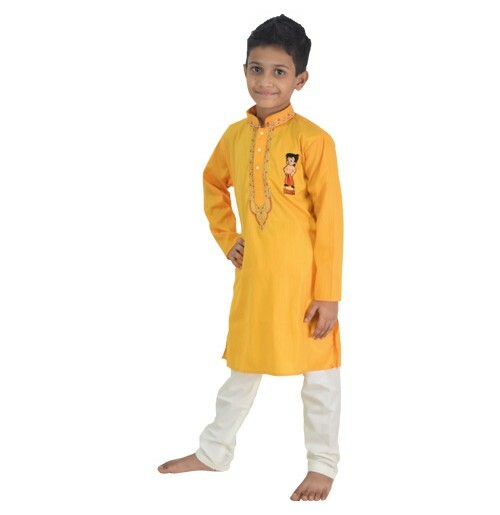 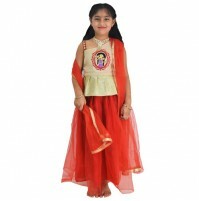 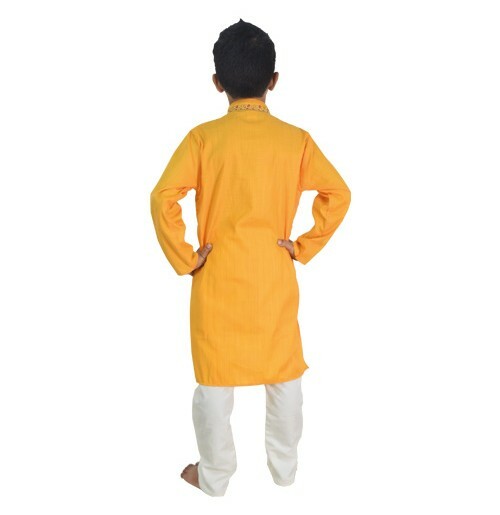 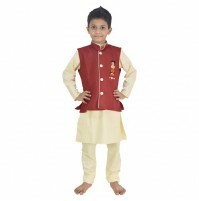 Trendy full sleeves and attractive Chhota Bheem print on Kurta, the solid color base of the Kurta with designer mandarin collar and contrast color pajama makes this set elegant and traditional. 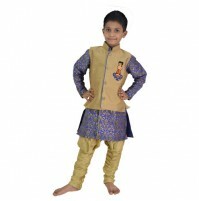 Made from Terricotton, this set ensures maximum comfort with the perfect fit.